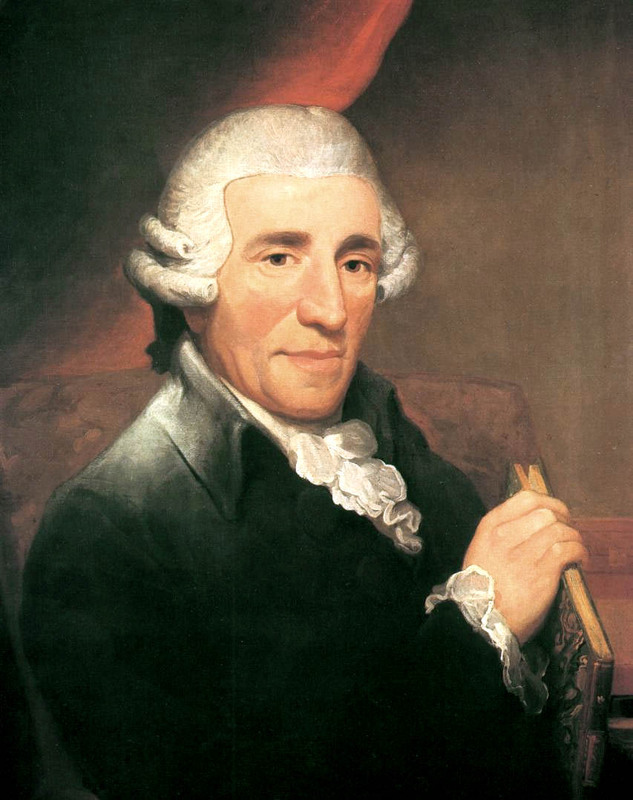 Franz Joseph Haydn was a huge figure when it came to classical music. He contributed a whole lot to the development and composition of songs from this time period. Joseph was born in Rohrau, Austria, a little village close to the border of Hungary. His father was Mathias Haydn, the village mayor, and his mother was Maria nee Koller, who had worked as a cook in the home of a local count. Neither of his parents could read music, but Joseph's father was an accomplished folk musician. Joseph later reminiscences that his childhood family was extremely musical and sang together frequently. Haydn's parents knew that their son was musically talented, so at the young age of six, they sent him off to be taught and trained by their relative, Johann Matthias Frankh. After that, Joseph never saw his parents again. His childhood was not easy. Joseph remembered being hungry and embarrassed at the sight of his filthy clothing. But his musical training began, and he learned to play the harpsichord, the violin, and sang in the church choir. This boy's musical talent was soon brought to the attention of Georg von Reutter, the director of St. Stephen's Cathedral in Vienna. He saw the potential in young Haydn and brought him to Vienna to work as a chorister. Here his musical education continued, mostly from experience rather than instruction. 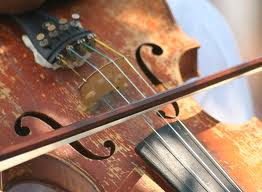 Slowly Haydn matured and with it left his childhood innocence and his lark's voice. He was eventually kicked out of the choir because he pulled a prank on a fellow chorister, snipping off a pigtail of her hair. Joseph was left on the streets, nowhere to go, until he was taken in by a friend, Johann Michael Spangler. He began to try to create a musical career for himself by teaching music and playing on the streets. While he had been in the choir, he had never received serious musical training, so he set out to learn as much as he could. He carefully studied the work of Carl Philip Emanuel Bach, who was an important influence on his education. Haydn's reputation was beginning to grow, after he composed an opera. He was being noticed by countesses and barons, being employed to teach them music. Soon Haydn was promoted to the role of Kapellmeister, which was the musical director of a count's small orchestra. He was secure with his job as the director, so he set out to find himself a wife. He first fell in love with a beautiful woman named Therese Keller. Although when she broke his heart, he turn instead to Maria Anna Aloysia Apollonia Keller, her sister.He only continued to entangle himself in the web of confusion when he married Maria. They had an unhappy marriage but could not escape from one another because divorce was unthinkable. So they continued to tolerate each other, however they had no children, and being utterly alone, each of them took separate lovers. 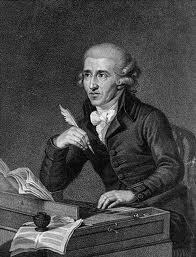 Stuck in a hopeless marriage, Haydn began to write to his friend from Vienna. Her name was Maria Anna von Genzinger, and whom was the wife of a local physician. Joseph soon established a close, personal relationship with her and they wrote to each other many times. When she died prematurely, he was devastated, and his F minor variations were a lamentation of her death. Haydn continued to grow and grow in the public's eyes, and he was friends with a lot of other important composers of his time, including Mozart and Beethoven. He eventually performed in large orchestras in England. An English music historian, Charles Burney, said: "Haydn himself presided at the piano-forte; and the sight of that renowned composer so electrified the audience, as to excite an attention and a pleasure superior to any that had ever been caused by instrumental music in England." During his final days, Haydn returned to his hometown of Vienna to live out the rest of his days in peace. However, in 1802, Joseph came down with an illness that he had been suffering for a while, but which now prevented him from composing his music. He was always well-cared for by the servants, but his hunger to compose never died. During the last stages of the sickness, it was all he could do to sit at his piano and play Gott erhalte Franz den Kaiser, which later became the Austrian and German national anthems. 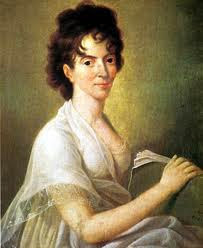 Haydn died at the age of 77 near the end of May in 1809 after a attack on his beloved Vienna by the armies of Napoleon. He died lovingly telling his servants to have no fear of the oncoming tirade, for no harm can fall where Haydn is. This symphony was composed some time between 1765 and 1769. This coincides with Haydn't role of full Kapellmeister, in the height of his fame and wealth. It can be inferred that he composed this song with good spirits, feeling positive on the way his life was laid out before him. This piece contains many oboe parts, which suggests that the work's composition may have occured at the same time he employed a famous oboist, Vittorino Colombazzo. My interpretation of the piece is that it is playful and bouncing. According to the style of that time, it is light and moving. 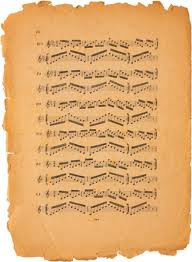 It requires quick, soft fingers and a subtle but distinct phrasing. 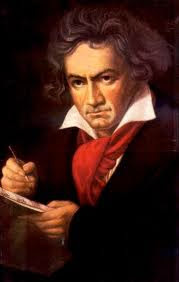 It is the essence of his time period, a epitaph to the Classical realm of music, and for that I commend the composer. This version of No. 38 in C Major is conducted by H.C. Robbins Landon. This version of No. 38 in C Major is conducted by Adam Fischer and is performed by the Austro- Hungarian Haydn Orchestra, it was recorded in 2001 in Austria. This version of No. 38 in C Major is conducted by Dennis Russell Davies and is performed by Stuttgarter Kammerorchestra. Haydn was a profound influence on the Classical era of music. 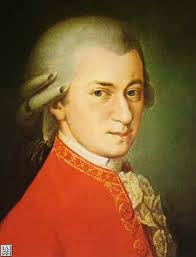 he composed countless songs for symphonies that will be played and listened to for generations to come. He will be remembered every time someone picks up their instrument to play a piece written by him.